“We estimate that he could have finished the race in a time between 9.55 and 9.61,” Norwegian physicist Hans Eriksen said Friday in a telephone interview. 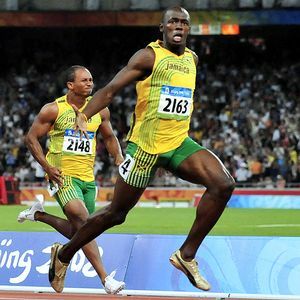 Eriksen, a physicist at the Institute of Theoretical Astrophysics at the University of Oslo, said he got the idea to examine just how quick Bolt could have gone after hearing Bolt’s coach say the Jamaican could have run 9.52 seconds. to, quite possibly, Bolt-ly go where No Man has gone before.